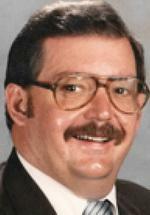 WATERLOO - James C. "Jim" Bergstrom III, 67, of Waterloo, died Wednesday, June 4, 2014, at UnityPoint Health-Allen Hospital of natural causes. He was born May 10, 1947, in Belle Plaine, son of James C. Jr. and Pauline Motter Bergstrom. He married Wanda R. Iehl on Aug. 3, 1968, at First Baptist Church, Waterloo. Jim graduated from Waterloo West High School in 1966 and the University of Northern Iowa in 1972 with a bachelor of arts in special education. He was a teacher in Waterloo Public Schools: Whittier, Devonshire, Kittrell; Malumghat Christian School in Bangladesh; Walnut Ridge Baptist Academy in Waterloo and Hobart Baptist School in Hobart, Ind. ; La Mesa Christian School in La Mesa, Calif., Heritage Christian School in Anaheim, Calif.; Calumet Baptist Schools in Griffith, Ind., and Child Evangelism Fellowship in South Bend, Ind.. Jim owned and operated Barnabas Group Inc. (d/b/a Marks Ultra Steam Carpet Clean). In the last few years, Jim worked at Klatt Law Office. He was a member of Walnut Ridge Baptist Church. Survived by his wife; two sons, Brent of Waterloo and David of Monticello, Minn.; two daughters, Julie and Anna, both of Waterloo; two granddaughters, Lauren and Rachel; and a sister, Jane Bergstrom Rademacher of Norfolk, Neb. Services: 11 a.m. Tuesday at Walnut Ridge Baptist Church, preceded by a family burial in Garden of Memories Cemetery. Visitation from 4 to 7 p.m. Monday at Locke Funeral Home. Memorials in lieu of flowers may be directed to Waterloo Christian School at wcs-ia.net.